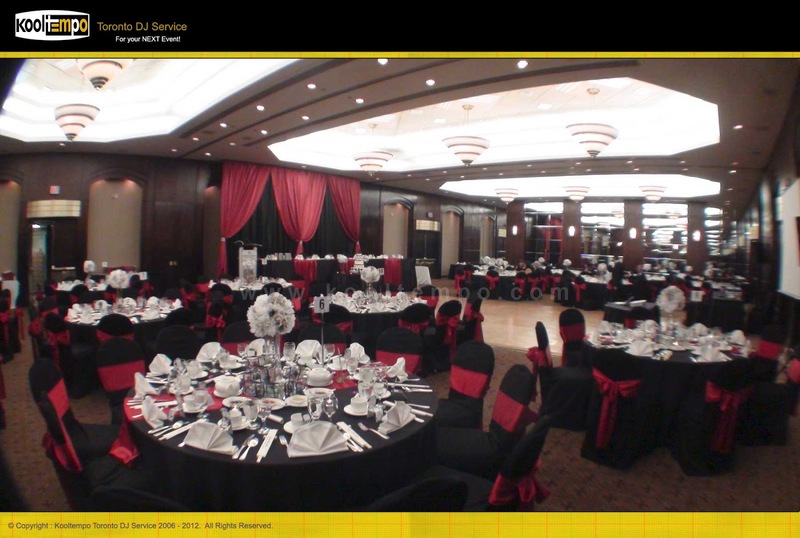 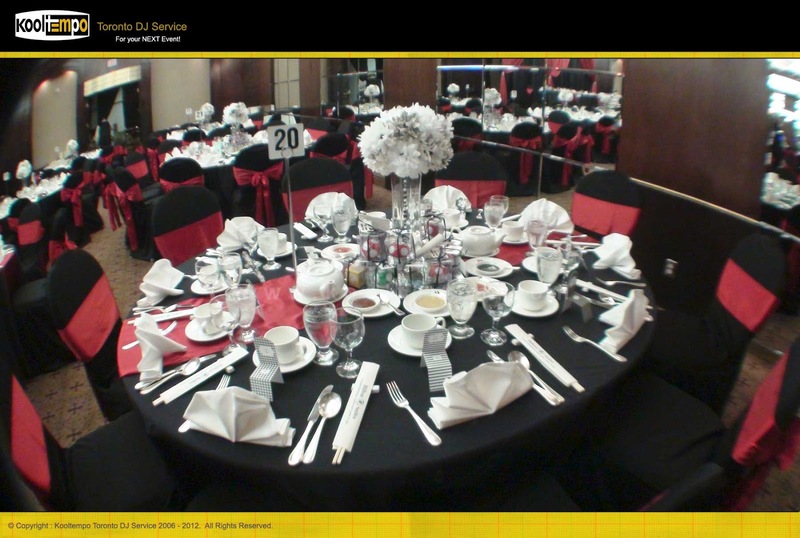 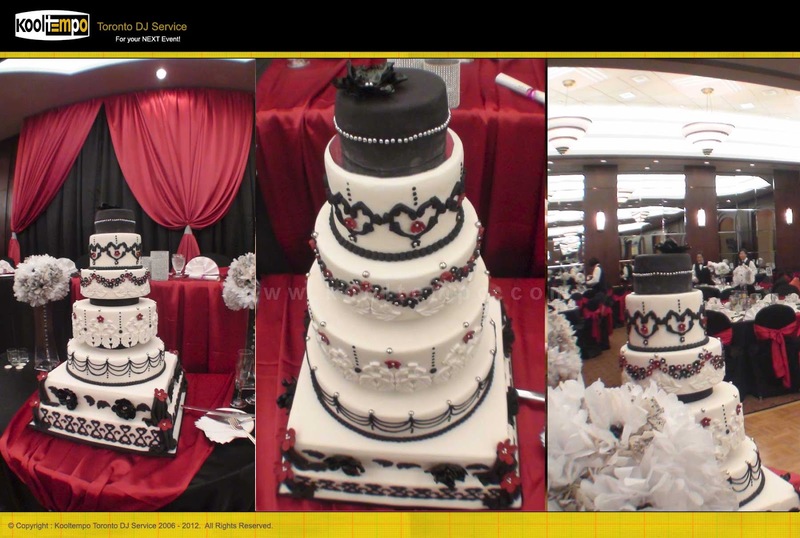 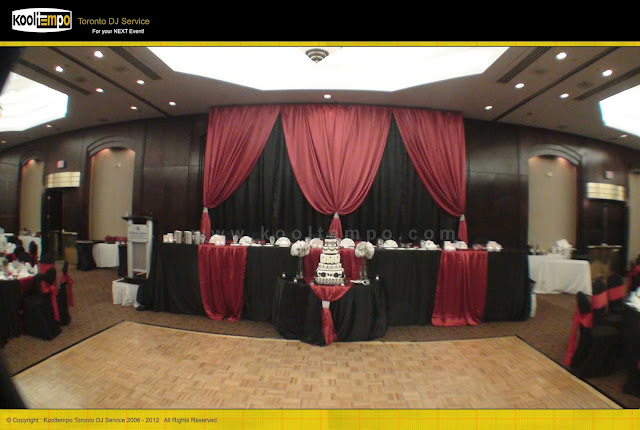 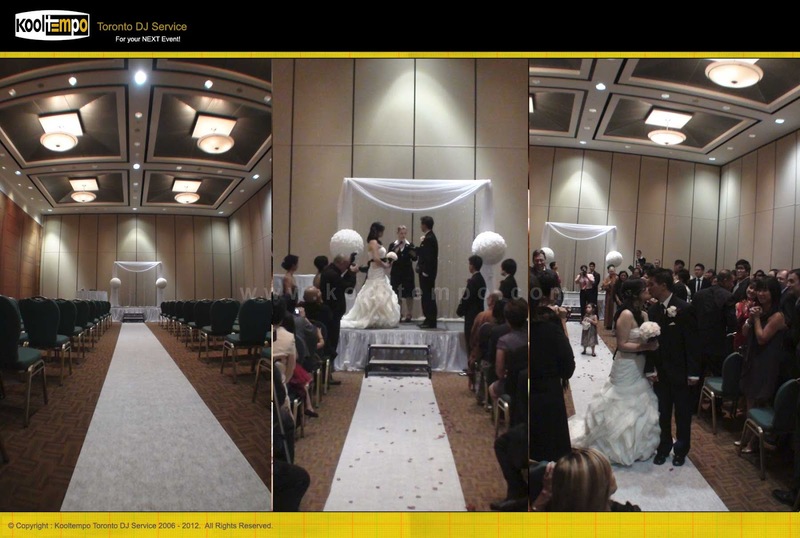 This elegant Wedding was held at the Hilton Suites (Markham Room) in Markham, Ontario. The Wedding Ceremony was held on the first floor of the building followed by a traditional Tea Ceremony, Cocktails and the main Wedding Reception (Markham Hall). 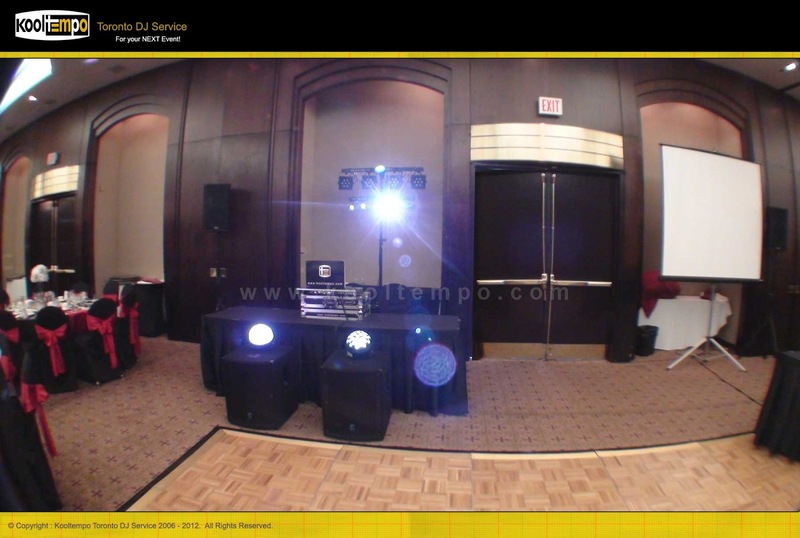 The Wedding Ceremony was conducted by Rinette Emerson of Enduring Promises who did an awesome job coordinating with our Wedding Ceremony DJ to ensure that every thing was done according to plan. We mainly played Traditional Classics for the prelude and a select list songs selected by the Bride & Groom for the main parts of the Ceremony. 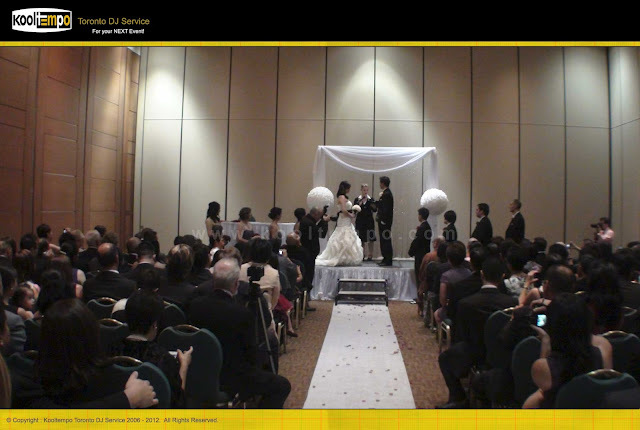 After the Wedding Ceremony the immediate Family members joined at the main reception hall for a Traditional Chinese Tea Ceremony while the guests enjoyed h'orderves and cocktails at the lobby. For the main reception the Bride & Groom requested our Wedding DJ to play Disney Music and Love Songs during Dinner and Top 40, Hip-Hop and 80-90's Music for Dancing. 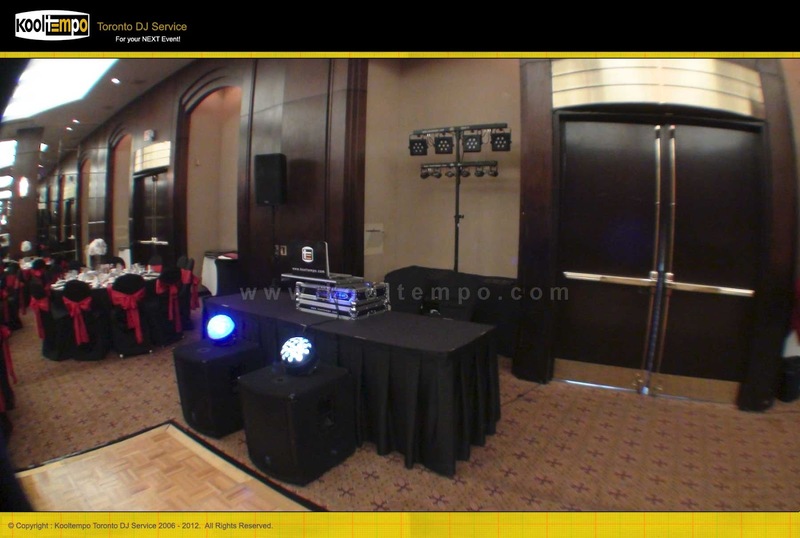 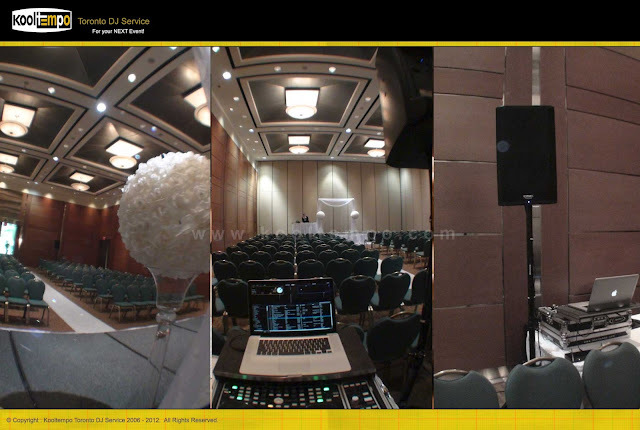 Our Toronto Wedding DJ's enjoyed playing a mix of old school hip hop tracks mixed with the new Top 40 tracks to keep every one on the dance floor. 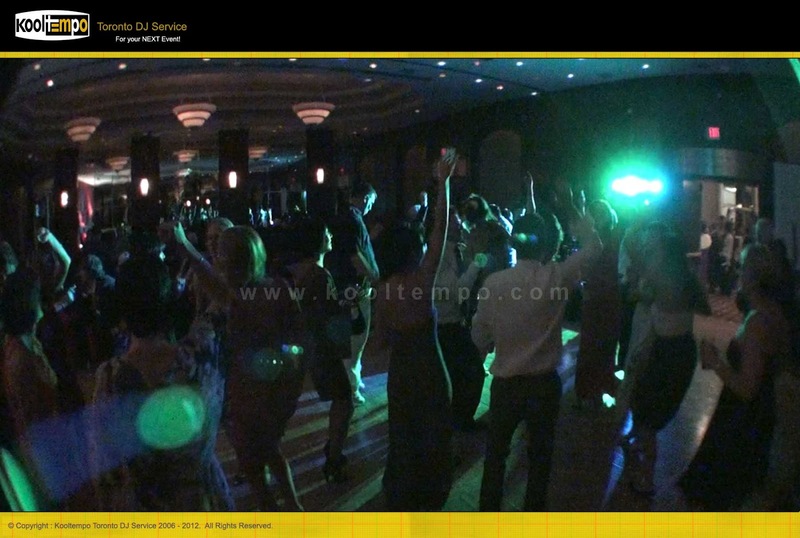 We also played few SClub7 tracks since we heard that it was the grooms favorite band.. The Moment they said "I Do"
Head Table & "The Cake"
"THE Cake - Credits Adrienne, The Bride"